Rent a place to stay! Welcome to Las Nubes Resorts! This is one of the best value condominiums in the Playa Herradura area, it has two 4 bedrooms, 3.5 bathrooms, and one 2 bedroom 2 bathrooms condo total 10 bedrooms are available to accomodate upto 30. Approximately 5000 Sq. ft of construcion, an open kitchen with wood cabinets next to the living room, backyard with small terrace, garage, and laundry area near Las Nubes School - Herradura, Puntarenas, Costa Rica. 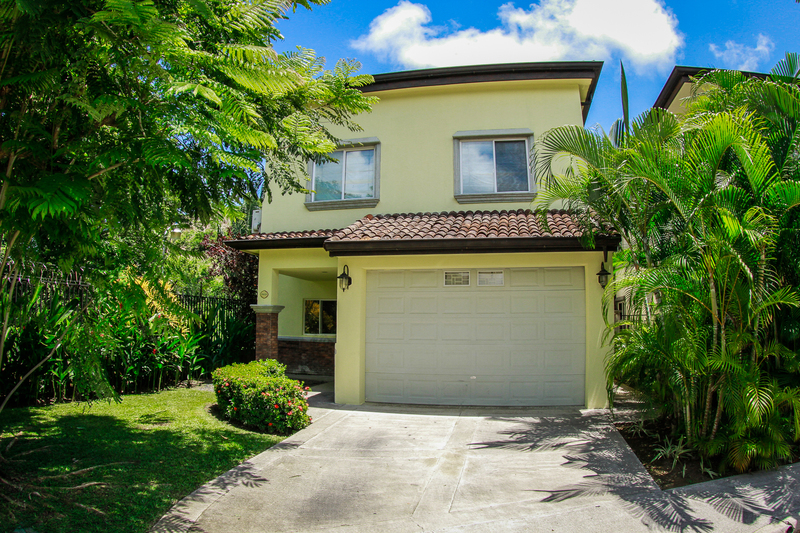 Las Nubes is a family oriented residential and a great for families who want to live in Costa Rica. Due to Las Nubes' location between Jaco and Herradura you have easy access to both towns and their beaches. Several supermarkets are nearby as are banks, stores, medical services and many other amenities. Many restaurants and bars are situated in Jaco and there is a movie theater. The beach town of Jaco offers activities for young and old. Surfing is definitely one of the most popular in Costa Rica and the waves in front of the beach in Jaco are perfect for beginners or more advanced surfers. 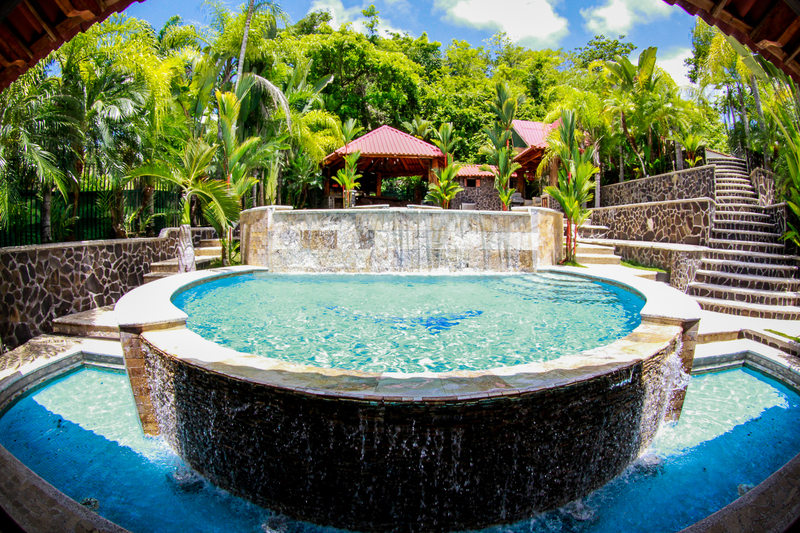 There are plenty of ways to enjoy the tropical climate and nature that is Costa Rica. The food here is amazing and the beachfront seating is great! I recommend getting dinner between 4:30-5:30pm to catch the sunset. Great service and amazing fun, definitely was the best option for dinner for our last night , highly recommended the Surf and turf plate. Got the crab cake, and shrimp appetizers. Grilled Organic Delmonico Steak and Green Curry Coconut Shrimp, with Pineapple Risotto for main dish. Brownie with ice cream for dessert. The steak was very flavorful and cooked perfectly. All the food were uniquely exciting and pleasing to the palate. My husband and I were very satisfied with the food. It is a bit pricey so be prepared for that. Service was good. The taco bar was even better though!! They had swinging chairs at the bar that were awesome! We will definitely be going back! While searching for a restaurant with Good food and a live atmosphere I came across “Mono Verde”. While reading reviews everyone raved about their service and food. One name that kept coming up was a waiter named Edwin. To my surprise We had the pleasure of being waited on by Edwin. Edwin and the wait staff did not disappoint. Everything from the complimentary fried potatoe chips with their homemade dip to the gourmet burger and delicious chocolate mousse dessert which was recommended by another waiter was amazing! The beers were cold and the sangria was sweet with just the right amount of alcohol. I give this place 5 stars due to their attention to detail and friendliness. I went to a restaurant right down the street nights before and it was the complete opposite. Bad food , horrible service you could tell $$ was all that mattered. NOT AT MONO VERDE!! They make you feel welcomed and appreciated ! Quaint boutique hotel. Small and friendly. Great beach access and the town of Hermosa. Walking distance to pretty much everything in Hermosa! Reasonably priced, reservations needed. Big following. Good value. Highly recommended to surf, in fact the it has hosted surf world championship, a lot of restaurants and hotel near. Good food, great views, fast friendly service and cold beer.